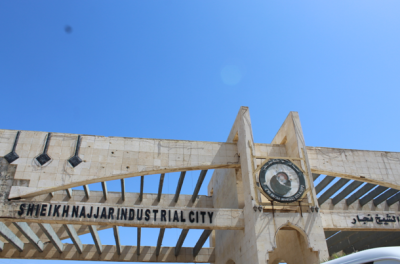 Sheikh Najjar, an industrial city spanning 4,400 hectares, is part of the Industrial heartland of Syria. Before the war, it accounted for 40% of the country’s GDP. Western terrorists have targeted Syria’s industrial base since the beginning of the war, stealing what they could, and destroying everything else. The destruction of a country’s industrial base is part of the Imperial Dirty Game. The industrial collapse drastically devalued the Syrian currency, it disemployed 50,000 workers, and it strengthened economies of plunder and terrorism. All of the pre-planned Death and Destruction are Imperial Success Stories. The “Dirty Games” are pre-planned War Crimes.